Items are EX-DISPLAY which are in our showroom/warehouse.. Items will carry FULL MANUFACTURE WARRANTY..! PLEASE CALL OR E-MAIL IF FURTHER IMAGES ARE REQUIRED..!! 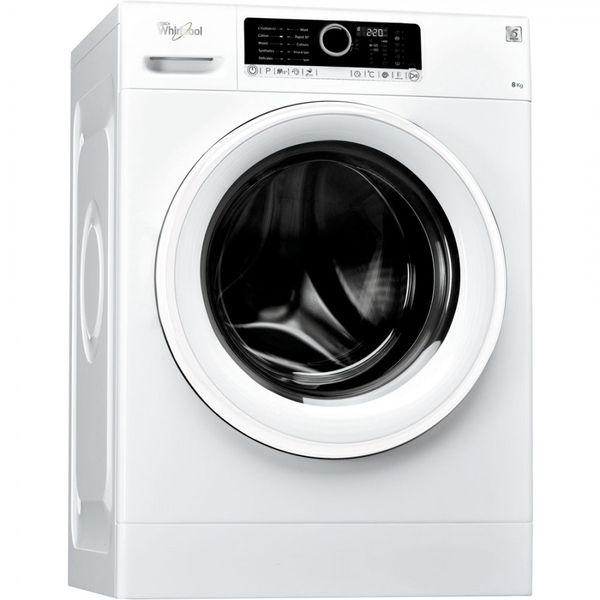 The Whirlpool FSCR80415 washing machine has a large capacity of 8kg per wash load, and a high spin speed of 1400rpm - helping reduce the residual moisture in your clothes after washing. Discover the supreme washing experience. Supreme Care appliances feature the very best in terms of design, features and functionality. Intuitive controls, outstanding technology and unparalleled care ensure you'll enjoy the best washing experience, ever. Ideal washing results. PrecisionClean's powerful water jets focus directly on the dirt, not on the fibre, providing ideal washing results, always. Ideal garment care. The new Wave Motion technology features 6th SENSE sensors that dynamically adapt the drum motion providing ideal garment care. This innovative technology ensures your laundry is evenly and delicately distributed inside the drum, so you can enjoy ideal results, always. Fresh, dry laundry. The FreshCare Option provides a gentle tumble cycle when the wash cycle is over, so your garments are fresh, dry and ready for you. Whirlpool Washing Machines provide the best care for all fabrics, so you enjoy ideal results, always. This Whirlpool Washing Machine features a user-friendly control interface. With its A+++ energy rating, this Whirlpool Washing machine will allow you to enjoy both ideal results and lower energy consumption. With its 8kg drum capacity, this Whirlpool Washing Machine provides all the space you need for your laundry.